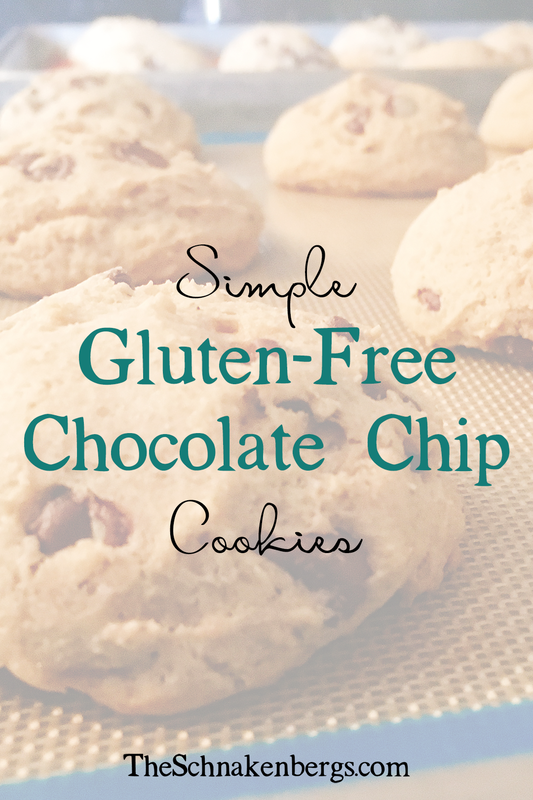 When you’re baking gluten-free, you can never underestimate the power of having a tried-and-true cookie recipe that’s a snap to whip together. These even work if you’re not g-free, just use your favorite baking flour. For these, we use Namaste’s Gluten Free Perfect Flour Blend. I love how simple this recipe is and that is only uses ingredients that are always on hand. The hardest part is remembering to set the butter out to soften. I’ve become quite adept and finding shortcuts for this. Stick this recipe in your collection for that moment you need a quick treat to say thank you or satisfy your own sweet tooth. In the bowl of a stand mixer fitted with the paddle attachment, cream together the butter and sugar until fluffy. Add the egg and vanilla to the butter/sugar mixture and mix until incorporated. Stir in the remaining dry ingredients just until combined. Scoop into mounds on ungreased cookie sheet. I like to use the large cookie scoop from Pampered Chef. Bake until just set on the edges and middle still looks a little undercooked. About 8-12 minutes. Allow to cool on the baking sheet for 5 minutes before removing. Cookies will continue to cook on the sheets for a few minutes. Dani is an entrepreneur and homeschool mom of 5. When she's not neck-deep in homeschooling or managing her businesses, Dani enjoys traveling and studying herbs.